So if you don’t want Cam to dance on your grave, kick the unholy crap out of him. That’s the way to keep his demonstrations to a minimum, and the Denver Broncos just showed the world how to do it in Super Bowl 50. Cam will live to dance another day, although he should have stood up stronger and longer during post-game interviews. By far the best defense in Denver history — and one brilliantly constructed by Super Bowl MVP general manager and VP John Elway — now must rank among the greatest of all time. That’s right, I’m talking 1985 Chicago Bears great. The Broncos have now tied a record with eight Super Bowl appearances and won three of them. If they don’t have more than four players in the Hall of Fame by this time next year, that entire voting process is a monumental joke. 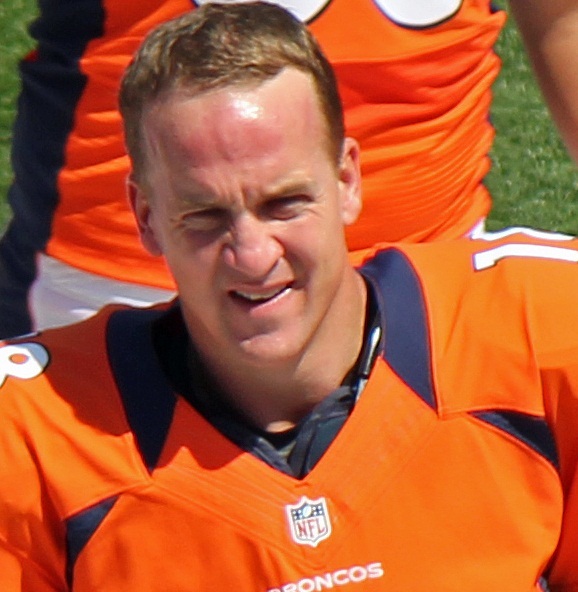 Peyton Manning’s 200th win and second Super Bowl victory, to go with his brother Eli’s two wins over Tom Brady and the New England Patriots, forever cements his legacy as the all-time greatest regular-season quarterback … and a pretty damn good postseason one too (14-13 winning record). Don’t forget, Manning went through Brady one more time to get this win, although he’ll tell you — rightly so — it was mostly DeMarcus Ware, Derek Wolfe, Von Miller, Chris Harris, T.J. Ward, Malik Jackson and the rest of that incredible defense. All time, Manning will likely retire with a 3-1 AFC Championship Game record against the Patriots. All the Denver Broncos teams that have compiled that 7-2 home record against New England deserve far more consideration by HOF voters. In the AFC, Denver and New England are ranked 1-2 all time over the past 20 years — and it’s debatable which franchise should be on top. You can keep snubbing the greatest playoff running back of all time, Terrell Davis, for as long as you want, but you better start putting some other Broncos in and soon. Seriously, there are 13 Minnesota Vikings in the HOF, and they’ve never won the Super Bowl? Massive joke. This Super Bowl win belongs to Elway the executive, Pat Bowlen the owner, Wade Phillips the best assistant coach this season, and the most dominant defense since those 85 Bears and maybe the 87 Giants that schooled Elway and Denver back in the day. Manning, in the end, was mostly along for the ride — one greatly aided by our QB of the future Brock Osweiler — but oh what a great ride it was.